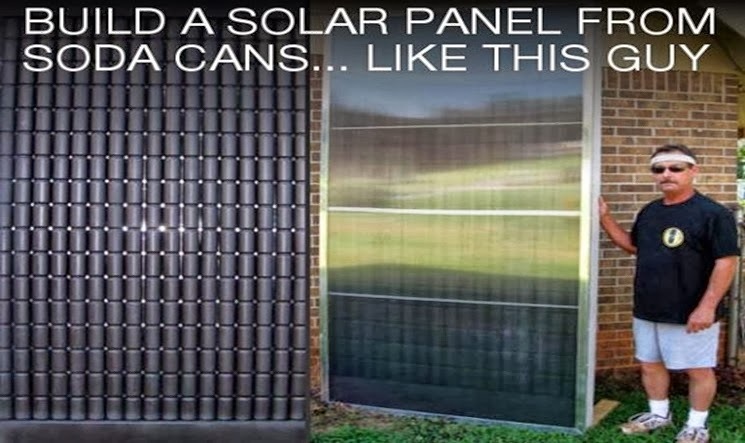 If you’ve got good sun exposure on one side of your house, you can take advantage of free heat from the sun with this DIY solar heating panel, which uses old soda cans to collect and transfer the sun’s energy into your house. Sometimes, low-tech solar devices are much better than high-tech ones for home use, as they not only tend to be cheaper to make, but will also last much longer before any repairs or maintenance are necessary. This solar space heater design uses old soda cans to increase the surface area for heat transfer inside of it, and in its most basic design, uses no external power to move the air. When exposed to the sun, the air inside the solar heater begins to warm, and as it does, it rises to the top of the box and can be ported directly into the house. 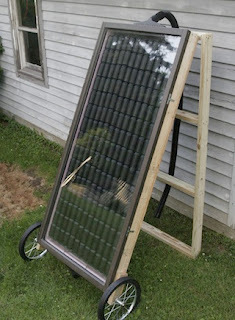 For an overview, and complete downloadable plans for this DIY solar space heater, see Greg’s Pop-Can Solar Space Heating Collector.